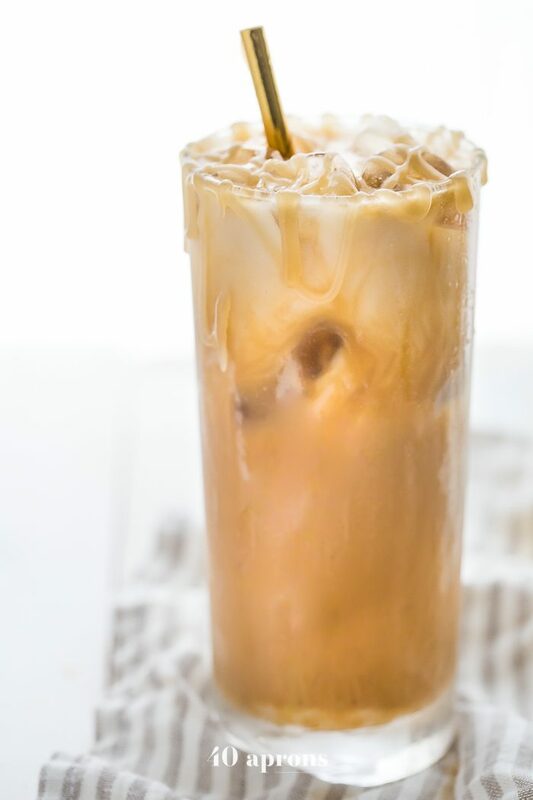 This paleo iced caramel macchiato is so rich and refreshing without any dairy or refined sugar! 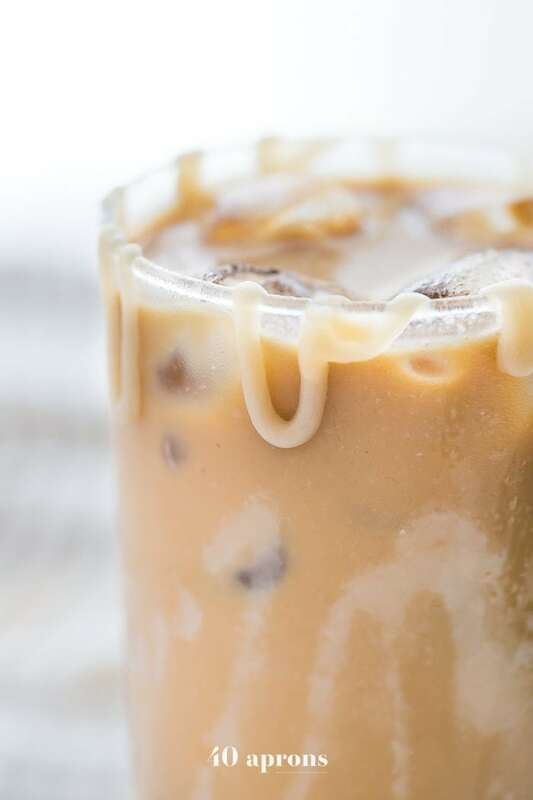 Using cold brew for a smooth taste means this paleo iced caramel macchiato is easy to make at home. 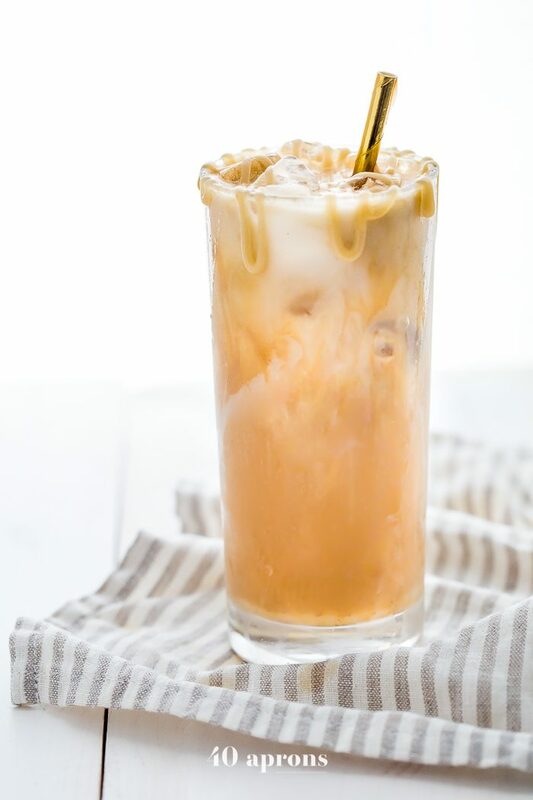 The perfect vegan iced caramel macchiato for all summer long! Get my 5-minute paleo caramel sauce (vegan) recipe by clicking here. What’s your go-to coffeehouse order? I’m kind of obsessed with caramel. I can’t get over the heady richness or the indulgent sweetness that a dash of caramel adds to everything. Why wouldn’t I put it in my drinks if I could? What kind of monster do you think I am?! So I had to recreate my coffeehouse fave this summer to fit into my daily diet: avoiding refined sugars, avoiding dairy, and um, avoiding spending $5 a cup? Winwinwin. I used cold brew instead of espresso for a few reasons: first off, it’s so freaking easy to cold brew at home. Not only that, it tastes even better than espresso, if you ask me, with its smooth edges and absolute lack of bitterness. Plus, um, I don’t have to somehow find my espresso maker that never made it out of the box when we moved? I’m all about reducing the kitchen gadgets if you can, and cold brew is a fantastic way to not need an espresso maker at home. 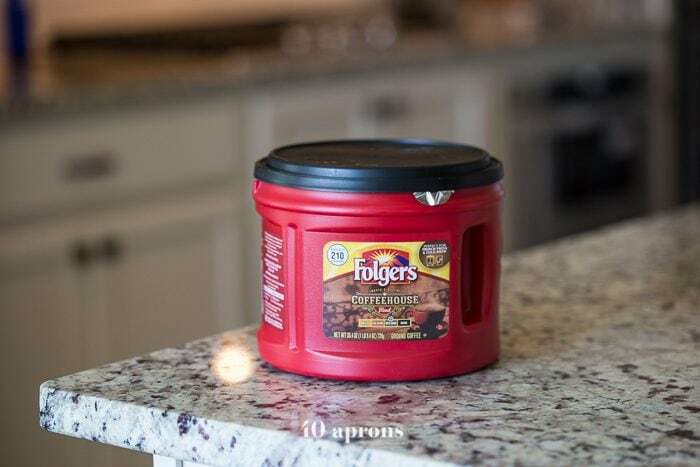 I picked up a container of Folgers® Coffeehouse Blend at Kroger, which, y’all, have you had this stuff?! O and I are kind of coffee snobs in our house, and this stuff is amazing. It’s super versatile and rich without being bitter, and it’s just perfect for cold brewing. After waiting ever so patiently for the 12-24 hours to let the cold brew do its thing, I whipped together a super easy, super quick 5-minute paleo caramel (vegan!) that kind of blew me away. Being the caramel fanatic that I am, I needed this recipe to be perfect. It had to be sweet enough with a bold richness to emulate the cooked sugar taste of a “regular” caramel sauce. And I spent an entire day making and tasting and pitching and remaking caramel sauces for this recipe, dramatically slinging pots across the countertop and shouting, “Not rich enough!” to my kitchen staff, AKA 11-pound dog named Magnolia? Yeah, she’s a pretty terrible sous chef. But I finally worked it out, finally found the balance of paleo sweeteners and coconut cream, and it took four ingredients and five minutes to make. Sorcery? I’m OK with that. Strain the cold brew, pour in some almond milk, and stir in a bit of my 5-minute paleo caramel sauce and boom, coffeehouse perfection without the dairy, without the refined sugar, without the price tag. I’m in love. 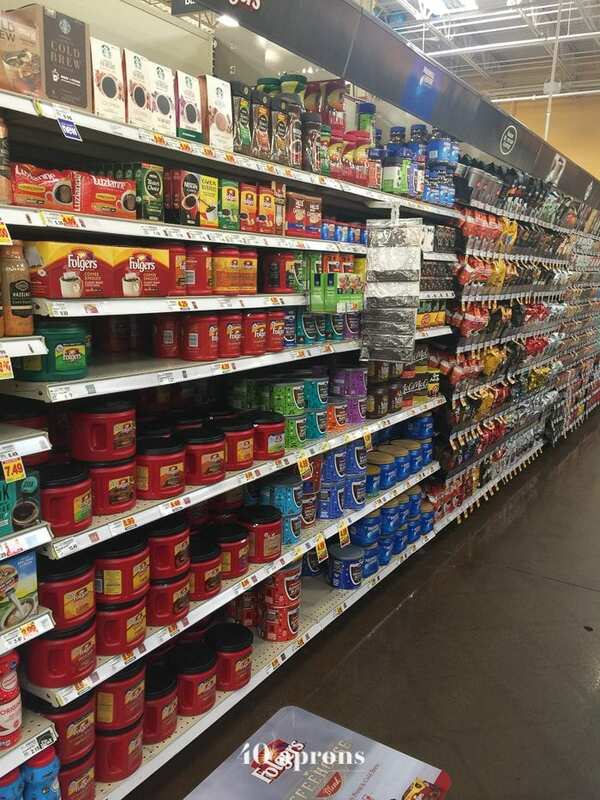 The caramel doesn’t blanket over the coffee; you can still taste the smoothness of the cold-brewed Folgers. It’s perfect for a warm afternoon when you need a little pick-me-up. The directors at my son’s school even said they currently accept these as bribes. Keep that in mind, friends! Make sure to use your newfound sorcery for good and not evil. Stir together 1/4 pound coffee (about 1 1/4 cups) with 3 cups cold water and let sit 5 minutes. Stir in remaining 1/4 pound coffee (another 1 1/4 cups) and remaining 1 1/2 cups cold water. Cover and let sit at room temperature 12 hours or in refrigerator 24 hours. 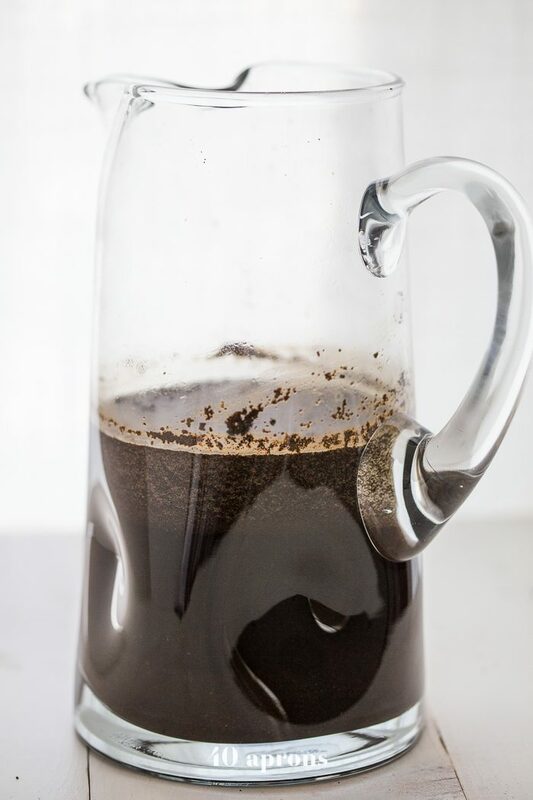 Strain mixture well and keep cold-brewed coffee in an airtight container 1-2 weeks. To drink, mix with about equal parts water or milk. Can be served heated, as well. This paleo iced caramel macchiato is so rich and refreshing without any dairy or refined sugar! Using cold brew for a smooth taste means this paleo iced caramel macchiato is easy to make at home. 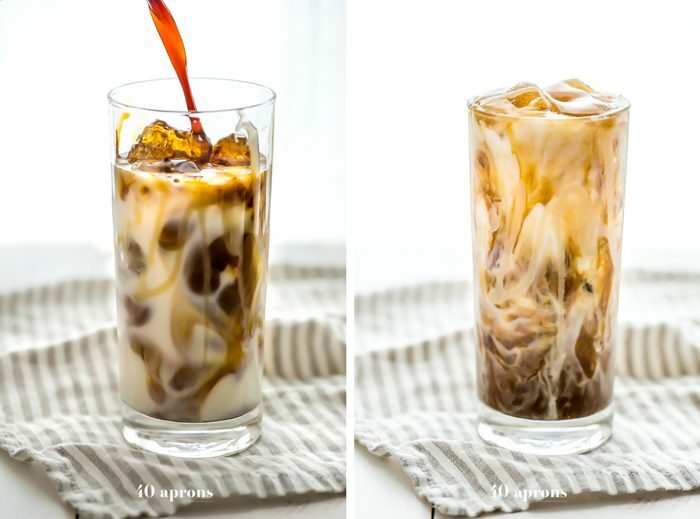 The perfect vegan iced caramel macchiato for all summer long! 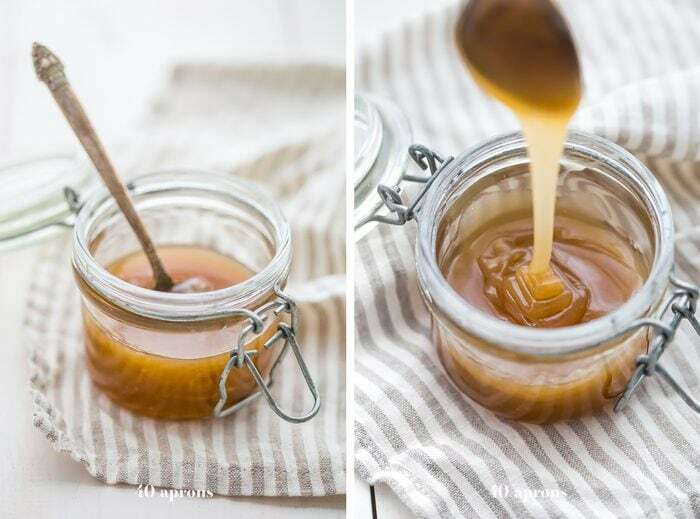 If desired, using a spoon, drizzle a bit of caramel sauce on the inside of your glass. Fill glass with ice then pour over almond milk. Then pour cold brew over, and stir in 2-3 tablespoons caramel sauce. Treat yo' self. Get my 5-minute paleo caramel sauce (vegan) recipe by clicking here. This is such a great idea! And that drippy caramel sauce is almost too much for me to handle. I want to lick my computer screen lol.